We got into the Bootleg Theater for Miya Folick's EP release party thinking it'd be a pretty intimate gig. Some people trailed in as the sound guy checked levels with his iPad, but it looked sparse. No one was staking claim to the tables in front of the bar stage. Then, five minutes before the set, a flash mob fashionably swarmed out of the theater end. It was lit. Shannon Lay of Feels started the night with songs from her solo debut Holy Heartache while Alaska Reid (Alyeska) traded banter and set fire with her newest single "Medicine River". 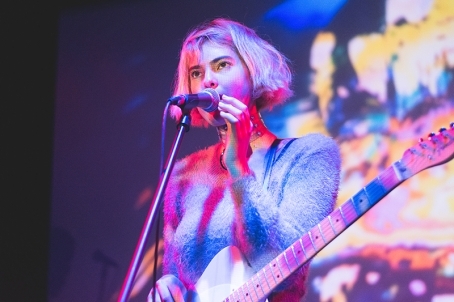 Miya Folick's performance, enhanced with the visuals of Vinyl Williams, drew a crowd so tight the photographers could barely move around. 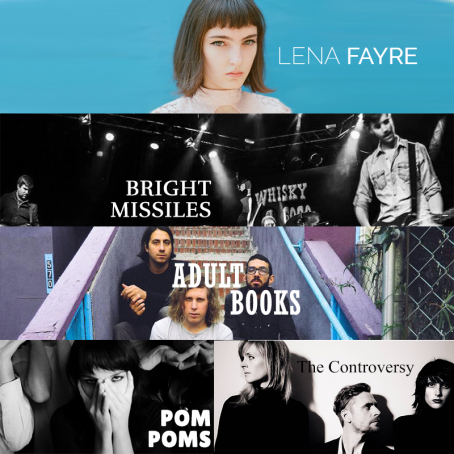 Lena Fayre's ethereal voice drew the night to a close with songs from her summer EP "Is There Only One?" Shoutout to Liv Marsico (Liphemra) for spinning in-between sets (we did cry), and we think we caught a glimpse of Jeremy Katz (Froth, HOTT MT)? That was tight. 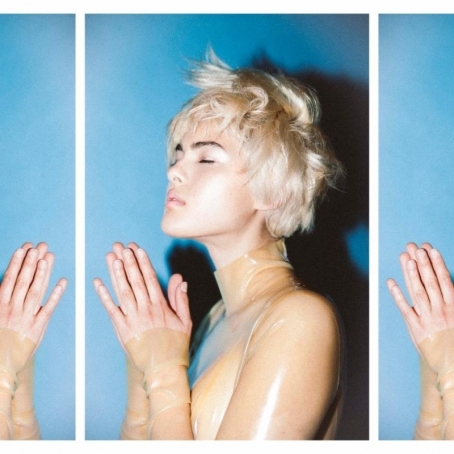 Singer-songwriter Miya Folick is not all that strange. She grew up in Santa Ana, went to college for Theatre, and moved to New York for a short period of time. In a recent interview with Drunken Werewolf, Folick concedes that she didn't consider pursuing music in her adolescence. "I think I came to music fairly late. I didn't grow up thinking I'd be a working musician or even thinking that that was in the realm of possibilities for me." And yet "Talking with Strangers", the first song we heard Folick half-nervously perform at James Supercave's 11/11 show, commanded a je ne sai quoi seldom felt from rosy-eyed musicians, and even less seldom heard by Los Angeles. For those six minutes, the Echo resonated with her voice and guitar, an off-white Telecaster finger-plucked with precision — unequivocably serene. As she performed alone, it was difficult to consider Folick's singing with embellishment, but listen to the studio version in her newly released "Strange Darling" EP. Like the devil winds of Santa Ana, the katabatic pianos, synth dust, and guitar arpeggios fan Folick's verses into flames, burning presumption to leave us in the ashes of wonder and awe.